Despite being based on a rather common idea, "Duckweed," by China's most famous blogger, Han Han, managed to stand out from the majority of Chinese blockbusters due to its intelligent humor, and in the process became one of the highest grossing movies of 2017 in the country. In 2022, Ah Lang is a freshly crowned rally champion, with some serious daddy issues. His frustration with his dad, Ah Zhang, who never supported his career as a race driver, instead pressuring him to become an ambulance driver, is so intense, that in the award ceremony, he has nothing but accusations and contempt for him, which he utters in front of the crowd celebrating his win. After the event, the two of them return in the racecar, but have an accident on the road, when an oncoming train crashes into the side of the car as it jumps over the railway track. They end up in hospital, but Ah Lang, who is in a comma, finds himself transported 24 years back to Shanghai, where he meets a younger version of his father. At the same time, he begins to search for his mother, whom he has never seen, as she died a little after his birth. As he becomes part of his father's "gang" and learns more about him, he also has to face the local gangsters and to separate him from his current girlfriend, who has a different name from his mother. Han Han directs a very easy-going film that thrives on intelligent and witty humor and the parody of the 90's in China, including the whole gang concept. In that fashion, some hilarious scenes are presented through the ideas of the members of the gang, with one wishing to produce as many pagers as possible, Ah Zhang investing in VHS, and the sole member who knows about computers being mocked constantly. Apart from the general sense of comedy, the details are the ones that make the difference, through the smart dialogues and some hilarious remarks here and there. Moments of "in-your-face" humor do exist, as in the sequence with the closet, but the general essence of the film demands attention to the details in order to appreciate it. 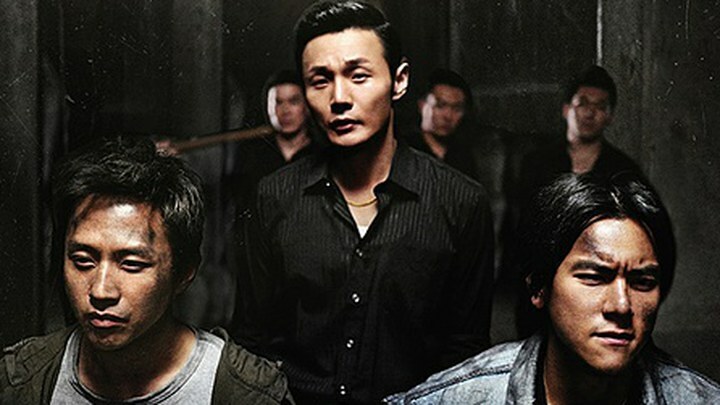 Additionally, the concept of the "villains" that transform from equally funny with Ah Zhang's gang, to extremely nasty upon the arrival of the Big Boss Zhiqiang, functions quite well in the film, inducing it with another level, which moves towards the drama, through the most unlikely member of the gang. Some incoherence could not be missing from a Chinese comedy, but it is well restrained, to a degree that benefits the production. The action scenes are not many, but are quite good, with the initial car accident, the car chase and the final battle being the most impressive, as they highlight Han Han's direction, Chang Ma's lensing, Bai Yuxia and Xiao Yang's editing and Bill Wang's VFX. The depiction of the era is quite accurate, with the different ID's, music and the lack of smart phones, with Cheng Ma doing an impressive job in the imaging of its various aspects. 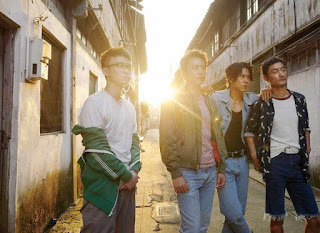 The acting in the film is on a very good level, headed by Deng Chao as Ah Lang and Eddie Peng as his father who provide fitting performances, on par with the combination of comedy and drama/action that characterizes the production. 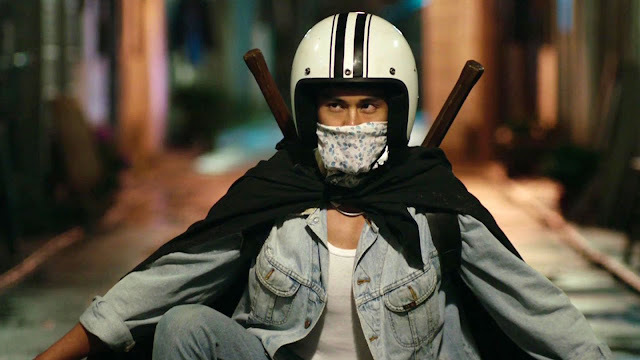 Eddie Peng in particular, is impressive at times, as he presents his character's transformations from an easy-going delinquent to a determined hero and vice versa. Doll-like beautiful Zhao Liying provides the necessary female brush, in a key role that benefits the most from her appearance. "Duckweed" is a very entertaining film, through its combination of comedy, action and drama, which is bound to produce much laughter, particular to the ones who pay close attention.